Despite a rough life, 10-year-old Teddy is upbeat, gentle and appreciative of the care and affection he is now receiving in foster care. 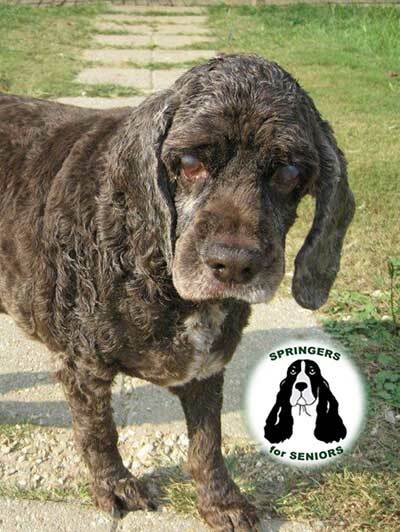 Teddy is blind and deaf – but that doesn’t slow him down. He has settled in beautifully and initially surprised his foster mom by finding his way in from the yard, through the doggie door, and back into his crate. In fact, he has never even spilled a drop from the water bowl he passes on his way back inside. Teddy has a healthy appetite and is housetrained. Throughout treatment for some skin issues and medical conditions (including daily ophthalmic ointment applied for dry eyes), he has remained cheerful and cooperative. On nice days, he enjoys spending some time outside in the sunshine. His foster mom says Teddy is “sweet, patient, house trained, smart, and never complains.” He is looking for a patient Forever Family who will help him settle in and navigate new surroundings. In return, he has lots of love to share!